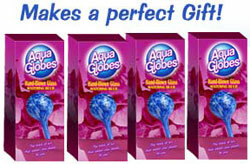 Aqua Globes™ are an attractive solution for automatic houseplant watering. 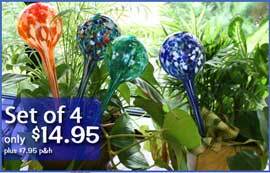 Fill he hand blown stained glass globes as the plant needs it. Aqua Globes™ are a great alternative to the daily chore of watering plants and an excellent choice for automatic watering while on vacation.